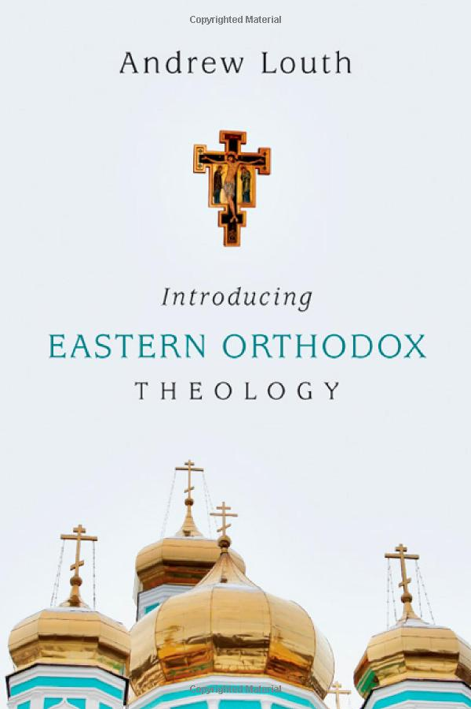 Andrew Louth’s latest book, Introducing Eastern Orthodox Theology (from IVP Academic), is a rewarding exploration of the faith of our Fathers. I pastor a Protestant church, yet have always found that the Eastern Orthodox theological tradition contains an almost endless amount of fresh insights into the Christian faith. Andrew Louth, a professor at Durham University and an Orthodox priest, is the perfect guide to these treasures of thought as he writes from the perspective of one caught up in admiration and respect for his tradition. The book serves as an excellent introduction to the faith of the Eastern Orthodox. Those unfamiliar with the unique perspectives of this stream of the Christian faith will find Louth’s writing to be both accessible and thought-provoking. Personally, I read the book already familiar with the rich theology of the Eastern Orthodox church and still came away with a new depth of knowledge and appreciation. A reader with little or no theological foundation may find some passages or references challenging, but will be rewarded with the small amount of effort it might take to follow the discussion. Three features stand out throughout the book. First, Louth continually references and quotes prayers from the Orthodox liturgy. Not only do these serve as outstanding illustrations of his points, they also serve to emphasize the importance of the liturgy for the Eastern Orthodox faith. Theirs is a lived faith and their corporate confessions function as the ultimate source of doctrine. Second, “mystery” is often given an impressive place in Louth’s discussions of paradoxical theological issues. This is no anti-intellectualism, but a rightful reminder of the necessary apophatic nature that characterizes the faith. Third, Louth helpfully references church fathers (such as Gregory Palamas, Basil the Great, Maximos the Confessor, Clement of Alexandria, Athanasius, Cyril of Alexandria, and many more) throughout the book. This has the effect of rooting the theology of the Eastern Orthodox with the Fathers which all Christians share in common. This shared heritage is the ultimate reason why all Christians, including Protestants and Catholics, will find it beneficial to further familiarize themselves with the theology of the Eastern Orthodox Church. Louth’s book serves as an excellent introduction to this theology and would be useful for personal reading, small-group settings, and introductory theology courses. I received a copy of this book from IVP Academic in exchange for an unbiased review.